As I noted in an earlier post (see here) there are often great challenges posed when attempting to decode a mantra or dhāraṇī from garbled archaic Chinese transliteration. Fortunately, there are modern resources such as dhāraṇī dictionaries which have done a lot of the necessary preliminary work, but there are still plenty of cases where you are entirely on your own. Modern Japanese and Chinese academic works can cite these texts and just insert the original Chinese, though if you are translating a text into English this is not possible. The Sanskrit must be deciphered, or an attempt at least must be made. Occasionally a key aid to this process will be old Japanese texts – now digitized – which both preserve accurate transliterations and define words. Here we have the dhāraṇī transliterated with Chinese characters as they were pronounced in Middle Chinese (the pronunciations are better preserved in Japanese than in modern Mandarin). The accompanying Siddhaṃ, transliterated into Roman below, is clearly Sanskrit, but quite baffling. An uncritical religious practitioner might assume – as was often done in the past – that Sanskrit is the language of the devas, hence it is not necessarily possible to understand the meaning. You just pronounce it and the power inherent in the language is supposed to work. From the perspective of sacred Sanskrit phonology that might be true, but only if you precisely pronounce each syllable properly. Needless to say, Sanskrit transliterated with Chinese characters will not accurately represent Sanskrit pronunciation. To complicate matters further the scribes who reproduced the Siddhaṃ in the copied texts – both in China and Japan – might not have understood Sanskrit. The alphabet might have been sacred, but grammars and Indian teachers were scarce, especially after persecution of Buddhism under Emperor Wuzong in 845 and the collapse of the Tang dynasty (907). I should note here that Sanskrit studies did continue in Japan throughout the medieval period to some extent. One noteworthy figure in this respect was Myōkaku 明覺 (1056–c.1122). He was a Tendai scholar monk of the late Heian period (794–1185), noted for his work on phonetics and Siddhaṃ. In his youth he studied at Mt. Hiei 比叡山 before later residing at Onsenji 溫泉寺. In addition to his linguistic works, his Daizuigu darani kanchū 大隨求陀羅尼勘註 (T 2242) and Dai bucchō nyorai hōkō Shittatahattara darani kanchū 大佛頂如來放光悉怛他鉢怛囉陀羅尼勘註 (T 2235) are annotated dhāraṇī texts complete with Siddhaṃ. Nevertheless, it doesn't seem like such studies amounted to comprehensive understandings of grammar or vocabulary, such as would be the case in Sanskrit studies today. Returning to our dhāraṇī in question, Jōnen 靜然 in his Gyōrin Shō 行林抄 (T 2409), compiled in 1154, provides it along with a critical evaluation of differing manuscripts available to him (see here for the text). The corrupted Siddhaṃ version differs from the one cited above. 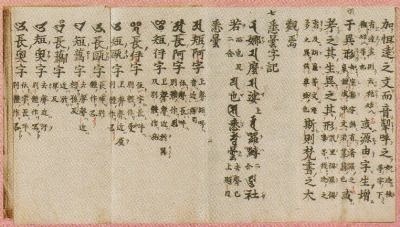 He initially states that it is titled in various ways including “Praise to the Eight Groups of Devas and Nāgas” (梵字天龍八部讃) or “Petitioning the Devas and Nāgas” 請天龍. Judging from the title, it was probably a short text brought to Japan by Kūkai 空海 in 806 as it appears in his catalog (see here). Jōnen's work notes there was the Sanskrit version of the text as well as bilingual Sanskrit-Chinese version. This same dhāraṇī appears incorporated into a few texts in the Taishō under different names. His notes become critical in deciphering the dhāraṇī. For example, he notes zuo ga su ra 左誐素囉 (sagasra in the corrupted Siddhaṃ above) in the Chinese should be bhujaga asura. He identifies the first as a Nāga and the latter as a non-deva (asura). In alternate manuscripts the first word in Chinese normally commences with a labial consonant (something like [b]). However, here it was omitted, and moreover the words ended up combined as the Chinese had a tendency to drop the initial [a] from Sanskrit words. Fortunately Jōnen could compare and report from several manuscripts. Another error in the text above is vidharmma ca (“...and unlawful/wrong“). He gives voddhaṃvacaḥ and suggests it might mean “Buddha speaks” (佛語). It should read buddhaṃ vacaḥ. Again, without these notes it would be arguably impossible to confidently decipher the dhāraṇī in the absence of alternate manuscripts, especially for someone with elementary Sanskrit knowledge such as myself. This illustrates how poorly Sanskrit – even in fragments – was preserved in East Asia (the Tibetans were far superior in preserving mantras with their phonetic alphabet which was derived from a Sanskrit script). Even in earlier ages the lack of understanding of Sanskrit was lamented by some erudite scholars like Xuanzang (602-664) 玄奘, who visited India between 633-645. He was quick to point out “accented” forms of the language that he disapproved of both domestically and abroad. He also provided updated transliterations in Chinese, which within a few centuries likely deviated from the intended pronunciation, given how spoken Chinese rapidly evolved. The character e 訛 (meaning "accented") appears 93 times in his travel account the Record of Travels to Western Lands 大唐西域記. Their letters were established by Brahma and have been passed down from their beginnings until now, being forty-seven in number. They combine to form words according to the object [declension?] and shift in use according to the action [inflection?]. It has spread around and branched off, its source being deep and broad. Due to regions and peoples there have been some changes, though the words are generally not different from the original source. Central India is especially proper, their diction being elegant and the same sound as devas, with a character sharp and clear, which is a model for people. The neighboring countries have become accustomed to erroneous pronunciation. In their chaotic ways and base nature they do not maintain genuineness. To some extent there was still an interest in Sanskrit for a few centuries at least among some intellectuals. Shen Kuo 沈括 (1031-1095), an intellectual with various interests including Sanskrit, was aware even in his day of Sanskrit influences in Chinese linguistics. Consider the following remark from his work Dream Pool Essay 夢溪筆談. As to the study of phonetics, the methods have been refined from Shen Yue 沈約 [441–513] dealing with the four tones to when Indian Sanskrit studies were introduced into China. He was aware of the phonetic table of Sanskrit, though perhaps this was simply an intellectual curiosity on his part. As noted above, the situation was different in Japan where Mantrayāna survived intact in Shingon and Tendai lineages. Moreover, alongside this there was an interest in Siddhaṃ studies (Jpn. shittangaku 悉曇學) until the present day. Figures like Jōnen and Myōkaku preserved this inherited field from Tang China that was otherwise lost there. This further highlights the value of Japanese Buddhism in understanding earlier forms of Chinese Buddhist literature and culture. The collapse of the Tang dynasty saw much Buddhist civilization forgotten. A great deal of Chinese literature was preserved exclusively in Japan, which the Chinese later became aware of and reintroduced. It was actually more than literature that was preserved: the Yogācāra school of East Asian (Faxiang 法相 in Chinese) and Mantrayāna as living traditions were preserved in Japan, along with other material aspects of Tang Buddhist culture including architecture, attire, rites and so on. In the modern day if you want to know classical Chinese Buddhism, you need to look to Japan. Arguably the true heirs to Tang Buddhism are in Japan. This is further made clear when you consider how Buddhism in China was basically decapitated by the communists in the twentieth century and only pieced back together in Taiwan. 2 For a good study of this subject see Tansen Sen, Buddhism Diplomacy and Trade The Realignment of Sino-Indian Relations 600-1400 (Honolulu, HI: University of Hawai'i Press, 2003). Heinemann's "Dictionary of Words and Phrases as used in Buddhist Dharani" is available online somewhere as a PDF. That's a good work but it has its limits. I see that (二合) indicates that the previous two characters should be combined into one consonant cluster, but what do the other notes like (上) and (引) indicate?? I just read your reply to another person who commented on another of your posts ( http://huayanzang.blogspot.com/2014/08/reconstructing-sanskrit-mantras-from.html ) and asked a similar question. There you replied that (引) indicates a long vowel. That makes sense. In fact, in Chinese transliterations of dharanis and mantras, after (二合) and (引), the four most common characters used to indicate how previous characters should be pronounced are (上),(去),(入), and (平). These tone indicators also seem to be being used to mark vowel length or quality, no? If so what aspect of Indian languages are these tone markers trying to relay?